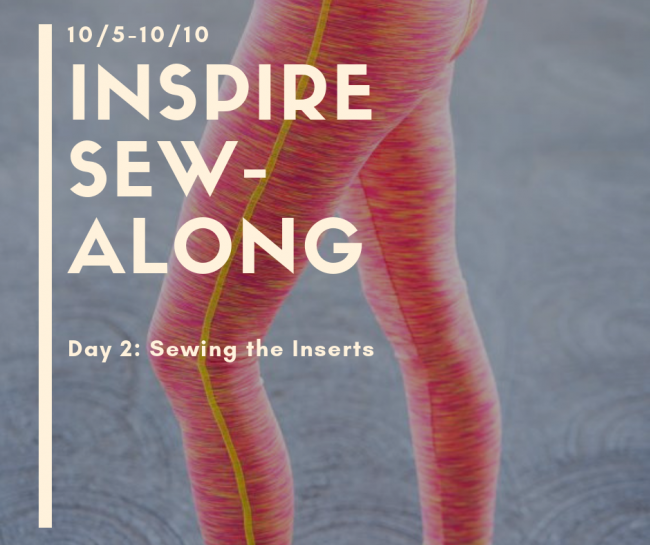 Welcome to Day 2 of the Inspire Tights SewAlong! I mentioned using a reverse coverstitch to sew down my seam allowances on the inserts, and you can find that HERE, as part of my Super G Sew-Along. I really like this method, as it reduces chafing and gives a nice ready to wear look. If you don’t have a coverstitch machine, you can still do a topstitch with a twin needle or a decorative sewing machine stitch. That’s it! I’ll see you back here on Monday (taking Sunday off to share a guest post on the Greenstyle blog) to continue our SewAlong! Note: This post contains affiliate links, that help support my sewing and vlogging. Thank you for your support! Another way you can help support me is by subscribing to my blog– its quick and easy, and gets new posts delivered to your inbox every time they’re posted!